Manufactured to be directly interchangeable with other recognized manufacturers brands, TCS provides our customers with a quality product that meets all Australian standards at extremely competitive pricing. Our Idlers & Rollers are widely used in Collieries, Quarries, Timber Mills, Gold Mines, Iron Ore Plants & Bulk Material Handling facilities. 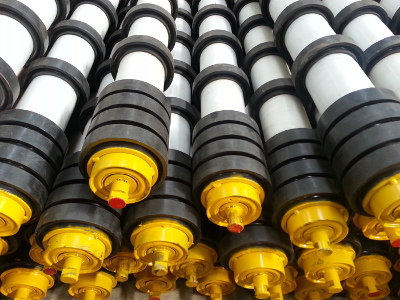 The TCS Range of Conveyor rollers and idlers is constantly being developed to meet increased demand from our customers and to reflect market trends. These rollers are precision engineered for smooth operation, a long service life & built to comply with universal standards.